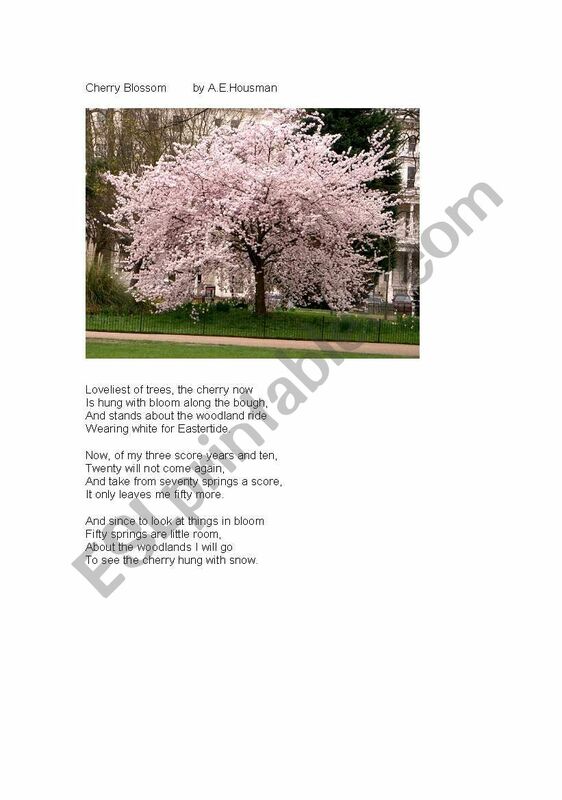 Famous British poem to inspire students of all nationalities to write about nature. Spring topic. 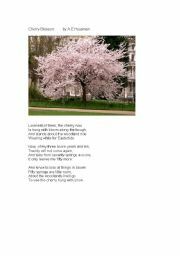 Could compare with Japanese Haiku as cherry blossom much admired in Japan.